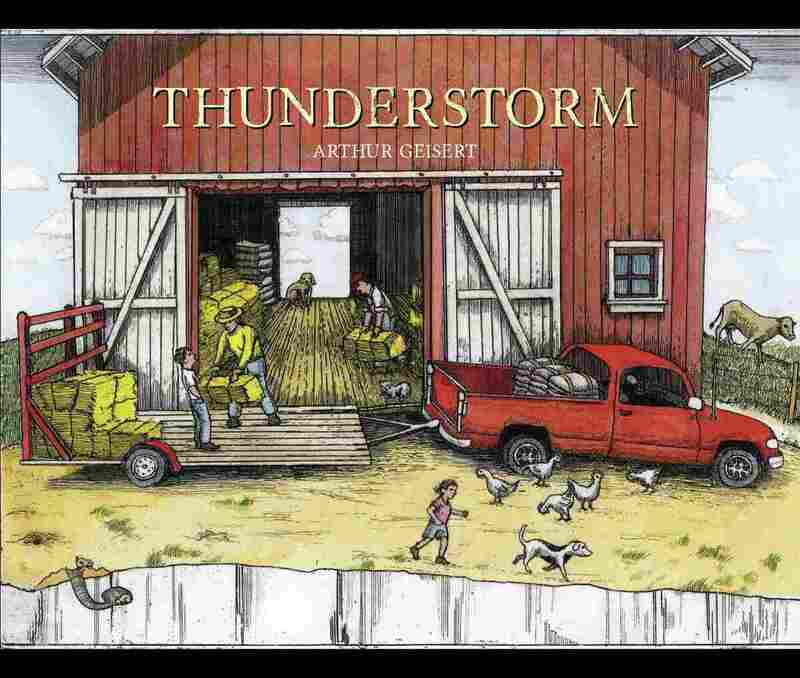 Arthur Geisert's 'Thunderstorm' Celebrates Life On The Prairie The award-winning children's book author has written more than two dozen books set in the American heartland. He's most famous for his intricate illustrations of the Midwest — sprawling prairie, family farms and his signature mischievous pigs. 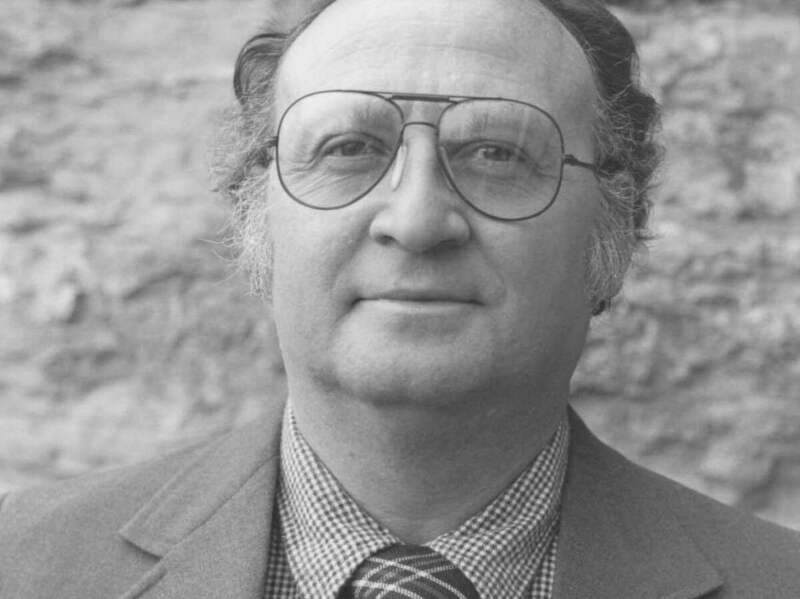 Arthur Geisert is the author of more than two dozen children's picture books. Three of his titles have won The New York Times Best Illustrated Children's Book Award. He's most famous for his intricate illustrations of the Midwest — sprawling prairie, family farms and his signature mischievous pigs. But Geisert has never lived on a farm. He's from Los Angeles. Six years ago, he moved to Bernard, Iowa. At the time, his marriage of more than 40 years was ending, and he wanted to stay in the Midwest to be near his ailing parents. He needed a cheap place to live and it to be available right away. "I had never heard of Bernard. I just drove into town, and I saw a for sale sign in front of the bank," he says. "And the next day, I bought the bank!" The old brick bank building was small — about 700 square feet. He fixed it up as a joint studio and home. His bedroom is in the old vault. In the center of the studio, he has an enormous metal etching press. Geisert makes his illustrations using an elaborate etching process that dates back to the 15th century. It produces detailed pictures. Often, his books don't have words. The etchings tell the story. When Geisert first arrived in town, people were curious about who he was and what he did. There were rumors he was going to print T-shirts on the etching press. But he quickly became part of the community. Arthur Geisert's other children's books include Ice and The Giant Seed. "I go to coffee early morning," he says. He has breakfast with the farmers and truckers who come through town. "It's mostly crop stuff and farm business," he says. Early morning chatter at Pearl's Place has inspired Geisert's work. In 2010 he published an ABC picture book called Country Road ABC that was about farming in Bernard. In it, 'A' is for Ammonia Fertilizer. 'M' is for Milking. On a recent blustery spring day in Bernard, the entire town came out to celebrate the recent publication of Geisert's new book, Thunderstorm. Coe's Bar, the town watering hole, was packed to the gills. Outside, flags were out, banners were up and a glossy red tractor was sitting on main street. At the back of the bar, between the meat slicer and the noisy beer cooler, Geisert signed copies of his books. The line stretched nearly to the door. Fans — most of them parents and grandparents — came from all over. Maryanne Peters, who sells Geisert's books in her shop in Cedar Rapids, Iowa, says they are very popular. "I think it's the fact that there isn't the written word, and you can get out of the pictures what you want," she says. "If you're sitting down with a little child, you can talk about whatever is of interest, whatever level they're at." And, Peters says, kids like Geisert's books because they capture what it's like to live on the prairie. Arthur Geisert's Thunderstorm follows a tempest in the rural Midwest. "It provides sort of that source of pride for kids growing up in Iowa," she says. By late afternoon, the line of people waiting to get books signed is just a few stragglers. The day was a success. In a town of 98 people, Geisert sold more than 500 books in the back of a bar.